Republic Services announced today the Washington County Landfill received the World Class Landfill designation, a rigorous internal program recognizing Republic landfills that display operational excellence and environmental compliance beyond state, local and federal regulations. The Washington County Landfill is the first to be recognized among 190 landfills across the country. To achieve Republic’s World Class Landfill designation, a landfill must receive a 95 percent or higher rating for two consecutive years. The Washington County Landfill serves customers and communities throughout Washington County to include Rockville, Springdale, Washington City, Apple Valley, Enterprise, Hurricane, Ivins, LaVerkin, Leeds, New Harmony, Santa Clara, St George, Toquerville, Veyo, Dammeron Valley and the Town of Virgin. Republic has over 45 employees in the Washington County area who serve more than 55,000 local households and over 1,000 commercial and industrial customers. 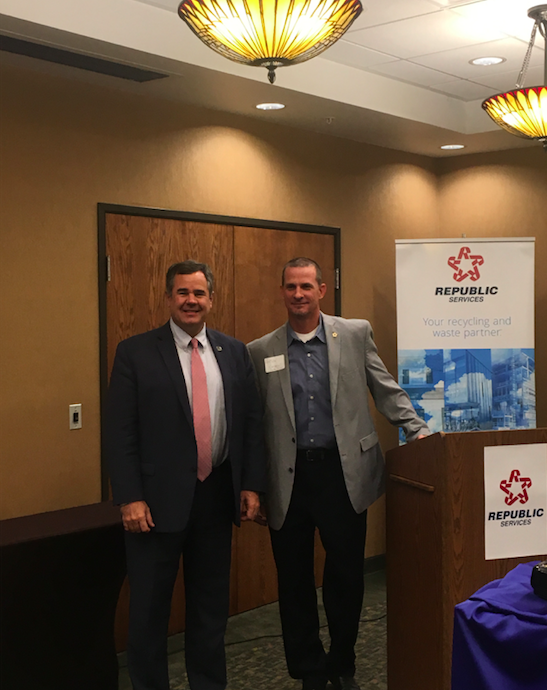 Republic also owns and operates 30 collection vehicles and operates one landfill.